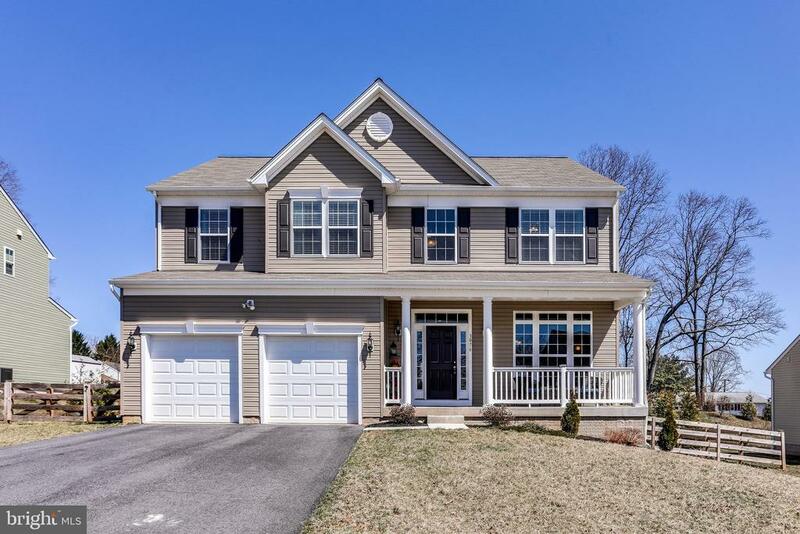 All Manchester homes currently listed for sale in Manchester as of 04/23/2019 are shown below. You can change the search criteria at any time by pressing the 'Change Search' button below. If you have any questions or you would like more information about any Manchester homes for sale or other Manchester real estate, please contact us and one of our knowledgeable Manchester REALTORS® would be pleased to assist you. "Nice lot with Potential for Estate homes, property surrounded by modern single family homes, is located within 1 mile of Manchester, and close to new High school, Convenient for commuting." "First Time Available...This incredible 7000 square foot home offers all the typical interior rooms that you'd expect with a home like this, plus some special interior features, like: indoor pool, vintage (but working) elevator, soap stone cooking oven (plus a viking gas range), 10-fireplaces, spiral staircase and much more. 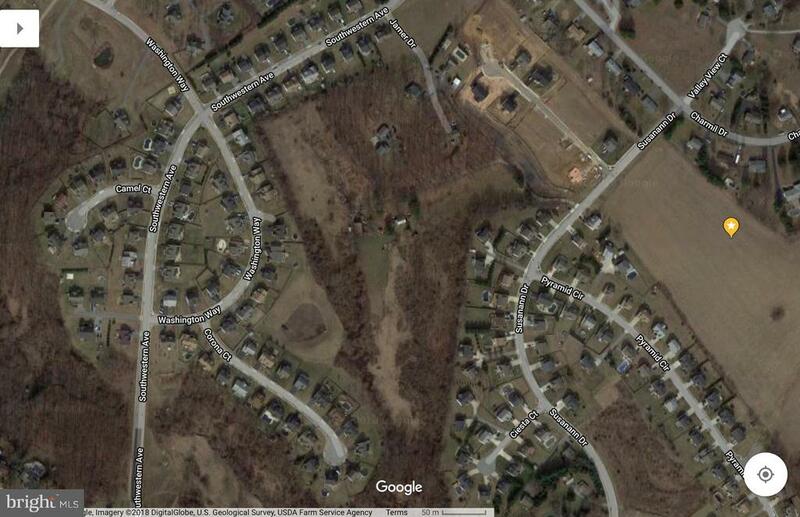 The land consists of multiple parcels and is approximately 52 acres." "Beautiful Custom Built Home with 2 Private Master Bedroom Suites! Private 3.73 Wooded Acres with Scenic Mountain Views. The Gourmet Kitchen has 42inch Custom Cherry Cabinets, Stainless Appliances and Silestone Counters. Master Bedrooms are located on 1st and 2nd Floors. Each Master has its own private bath to include heated whirlpool tubs, separate shower and dual sinks. Most of the home is covered with Brazilian Cherry Wood Flooring. Large Maintenance Free Deck off the Kitchen Breakfast area. Additional Features include: Fenced Backyard, Bonus Room Over Garage, Sunroom with Gas Fireplace, Family Room with Gas Fireplace, Full Walk-out Basement, 9 foot Ceilings 1st floor, Central Vacuum, Intercom System and many more upgrades. 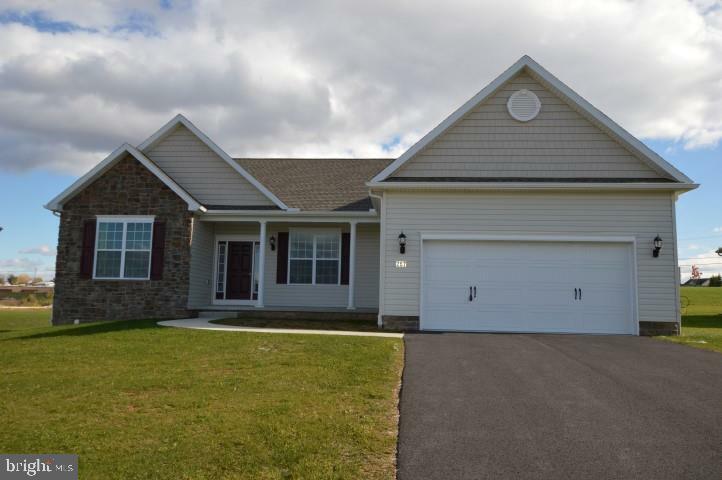 See the complete Amenities page for all this home has to offer." 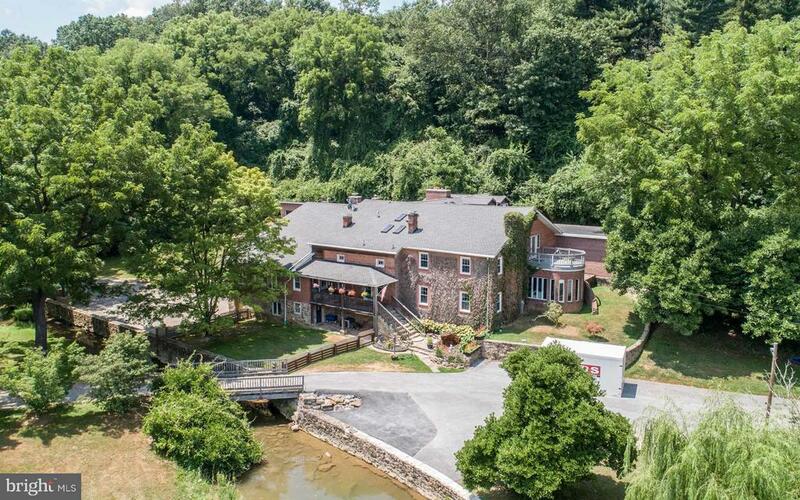 "Private 50 acre retreat with 2 large homes and picturesque views! The main house is 5-6 Bedrooms with 2 full baths and the potential for main level living. 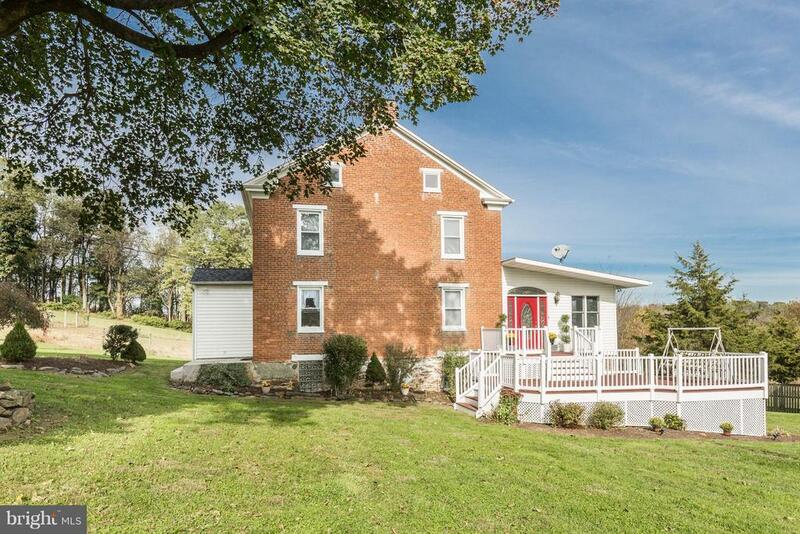 Well maintained with many updates but all the charm of a 19th century brick Farm House. 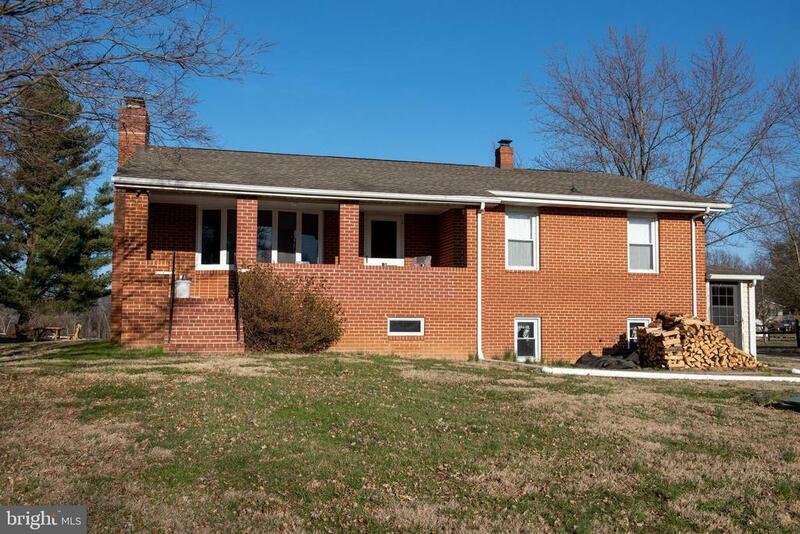 Large rooms, Hardwood Floors, Oversized office with built ins, Sun Room with vaulted ceilings, and multi tiered decks. SECOND HOME: This is a thoroughly renovated log home & offers 4 Bedrooms, 2 Full & 2 Half Baths. Eat in Kitchen, large living room & sun room filled with windows and amazing views. This home also has a main level master bedroom and tons of charm with custom wood details through out. Various out buildings offer many uses, including a 3 Car Detached Garage, several out buildings and sheds, a Morton Building and barn. Great for a home based business, or multi-homeset-up, ready for Horses, Livestock or 4-H projects." 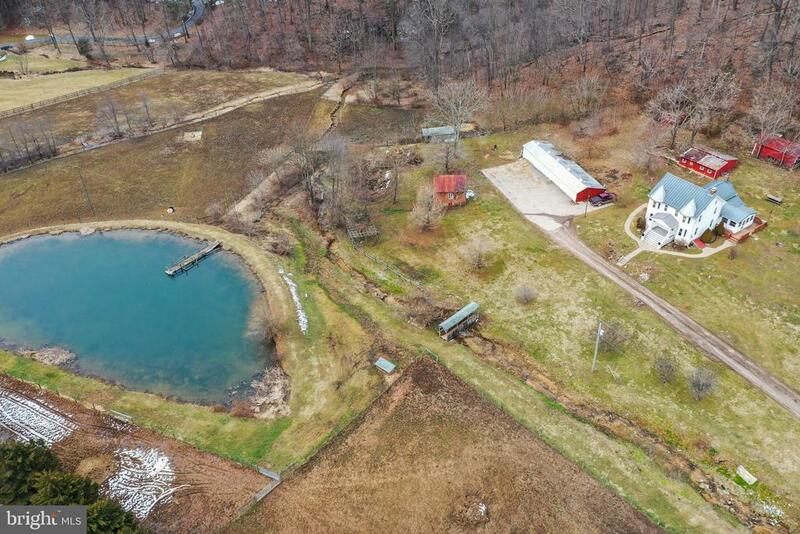 "Private 50 acre retreat with 2 large homes and picturesque views! The main house is 5-6 Bedrooms with 2 full baths and the potential for main level living. Well maintained with many updates but all the charm of a 19th century brick Farm House. Large rooms, Hardwood Floors, Oversized office with built ins, Sun Room with vaulted ceilings, and multi tiered decks. SECOND HOME: This is a thoroughly renovated log home & offers 4 Bedrooms, 2 Full & 2 Half Baths. Eat in Kitchen, large living room & sun room filled with windows and amazing views. This home also has a main level master bedroom and tons of charm with custom wood details through out. Various out buildings offer many uses, including a 3 Car Detached Garage, several out buildings and sheds, a Morton Building and barn. Great for a home based business, or multi-home set-up, ready for Horses, Livestock or 4-H projects." "This lovely property is tucked back of the road and offers an incredibly peaceful setting. There are multiple lounging locations while gazing out at the large stocked pond and natural oasis. The house offers over 5000 square feet of living space and is a mix of old and newer but can accommodate the most discerning buyer. Call for your personal tour." 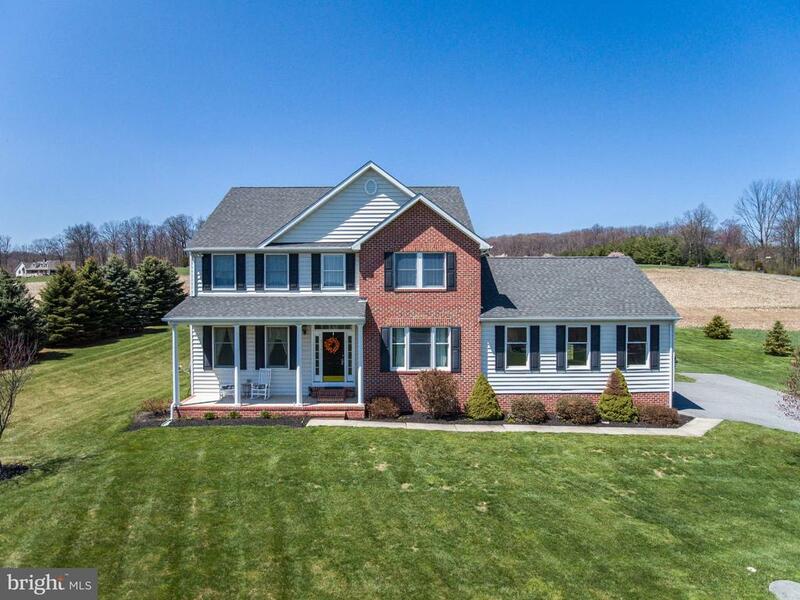 "Entertainers Delight is this Amazing 6 Bedroom * 4 Bath Colonial * Complete with 3 Finished Levels and Sited on 3+ Gorgeous Acres * Wonderful Eat-In Kitchen includes Center Island and Stainless Appliances * 1st Floor Family Room * Formal Living and Dining Rooms * 1st Floor Laundry * Relax in the Luxury Master Suite complete with Corner Jetted Tub, Oversized Shower, His and Her Sinks, Large Walk-In Closet * Lower Level offers Custom Built Wet Bar * Billiards Area * Rec Room * Walkout level * Solar Panels * Zoned Heat and Central Air * Wood and Ceramic Flooring * Freshly Painted * Gas Fireplace * Woodstove * Wraparound Porch * Maintenance Free Rear Deck * In-Ground Swimming Pool * Oversized 4 Car Attached Garage * Single Car Detached Garage * Convenient, yet Rural Location!" 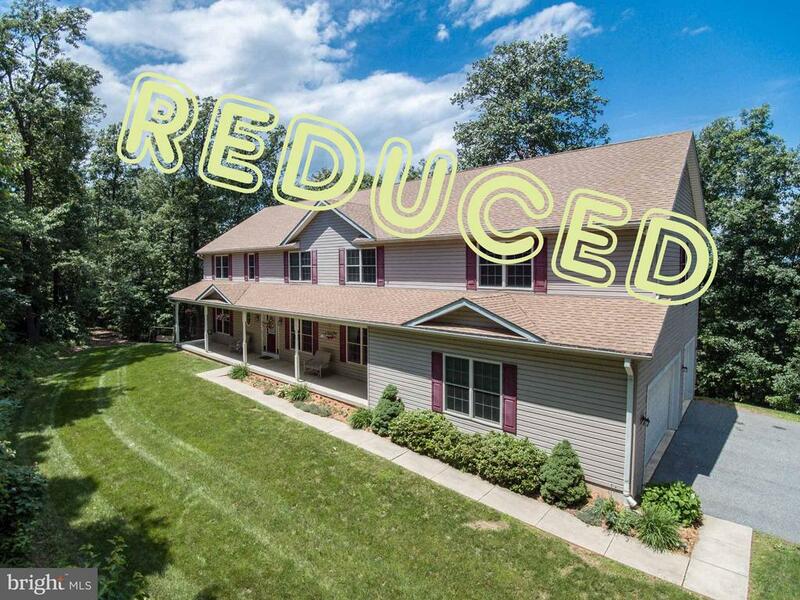 "REDUCED!!! 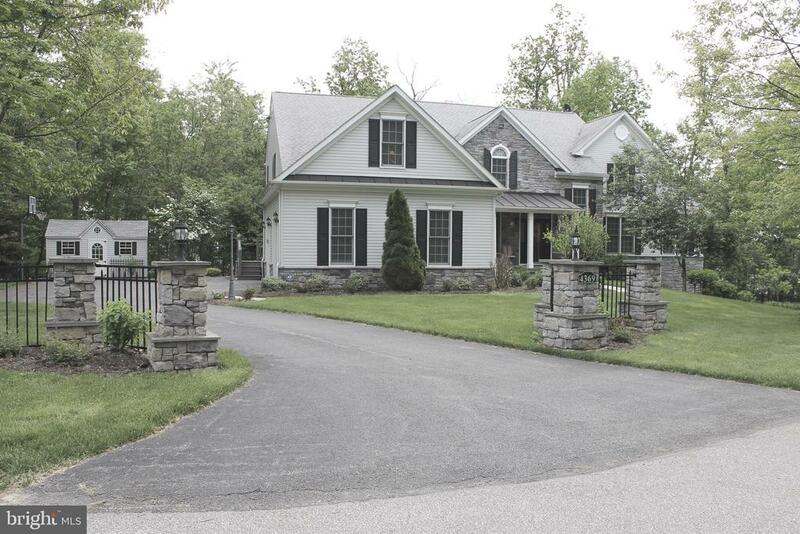 - 7 bedroom 3.5 bathroom Colonial tucked away on 6.5 acres. Custom built home with over 4500 sq/feet of living space. Single owner. Large bedrooms with full/walk in closets, Hardwood and tile flooring through out the main level. Massive master bedroom with on suite; Jaquez soaking tub, separate tile shower & dual vanity. 3 Car Garage. Rear screened in deck. 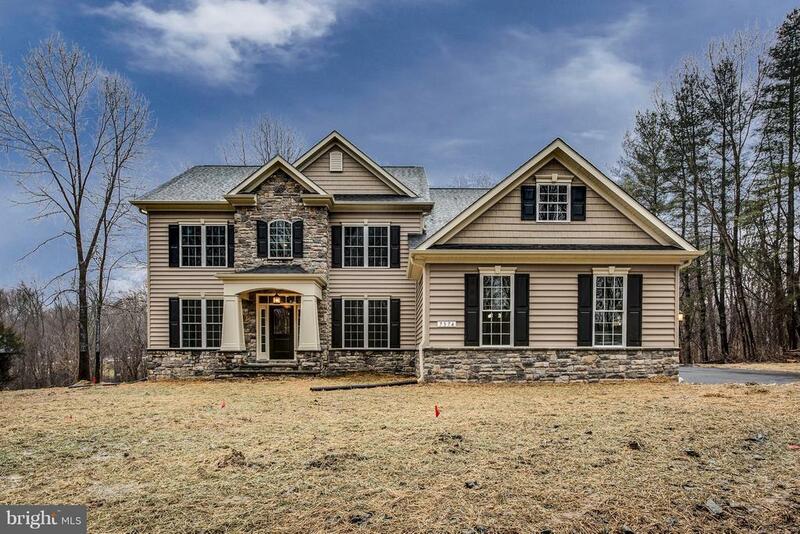 Wooded lot with walking path"
"To be built, gorgeous 4 Bedroom, 2.5 Baths, Stone & Siding Front, Colonial! Home features hardwoods, stainless steel appliances, granite kitchen countertops, ceramic baths, two zone HVAC and Fireplace. Beautiful, private homesite with water views. Pictures of other Model and options shown!" "This one is a showstopper! 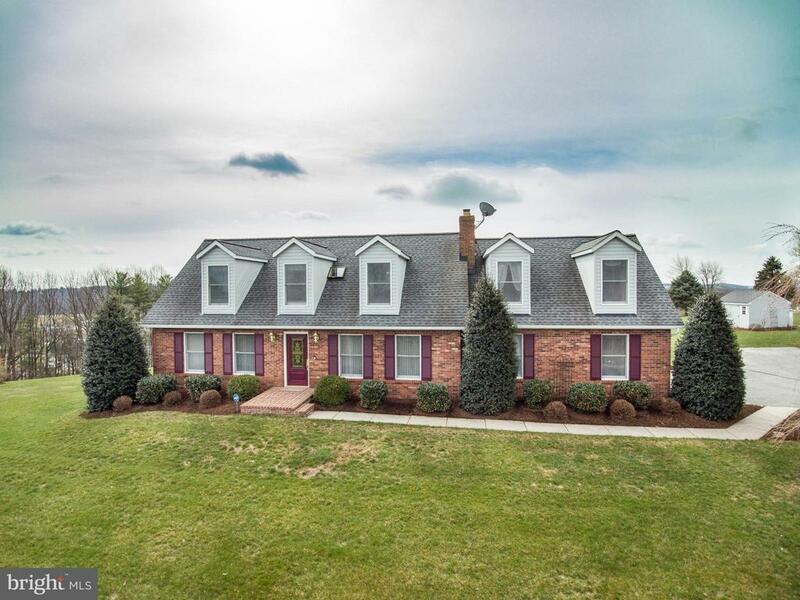 4 bed 3.5 baths over 3,300 above grade finished sqft situated on over 2 acres of highly usable yet incredibly private property. Large first-floor office, morning room, expansive kitchen and family room, formal living and dining make this home an entertainers dream! Large wooden deck with hot tub leads to pristine wooded views. Second-floor laundry room, large secondary bedrooms and massive Master bedroom with sitting area and en suite round out a picture-perfect home. Lower level is unfinished and waiting for your final touches. Do not miss out seeing this one!~Property was just appraised 3 weeks ago, listed BELOW appraised value!! Ask your agent to view the report." 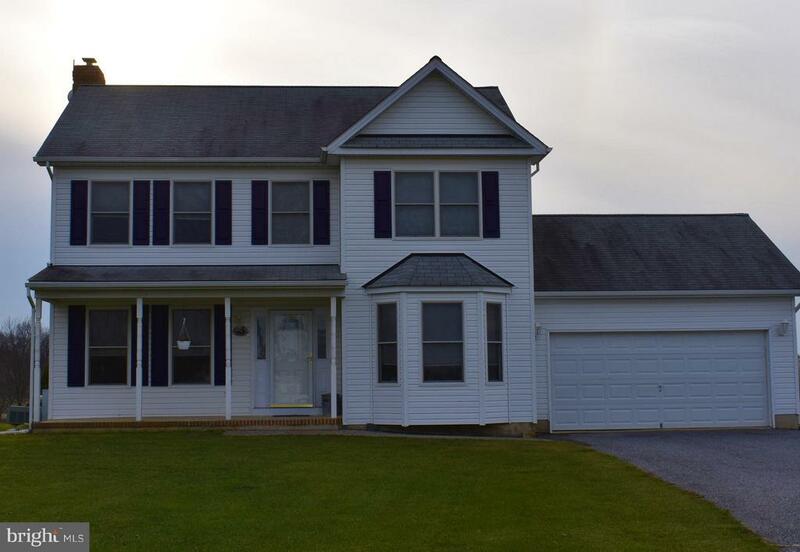 "Amazing views await you in this 4 bedroom 2.5 bathroom Colonial Cape Cod. Enjoy the sunset on your covered deck or enjoy a BBQ on your open back deck. Well manicured gardens with flowers, plants and trees are just an added bonus. Sit back and relax in the family room with fireplace or enjoy your over-sized eat-in kitchen with 42 cabinets with crown molding and soft close and pull-out drawers for added convenience. Walk out your Anderson French Door that leads to the second floor composite deck or from the new sliding Anderson glass door that leads to the concrete patio outside of the basement. 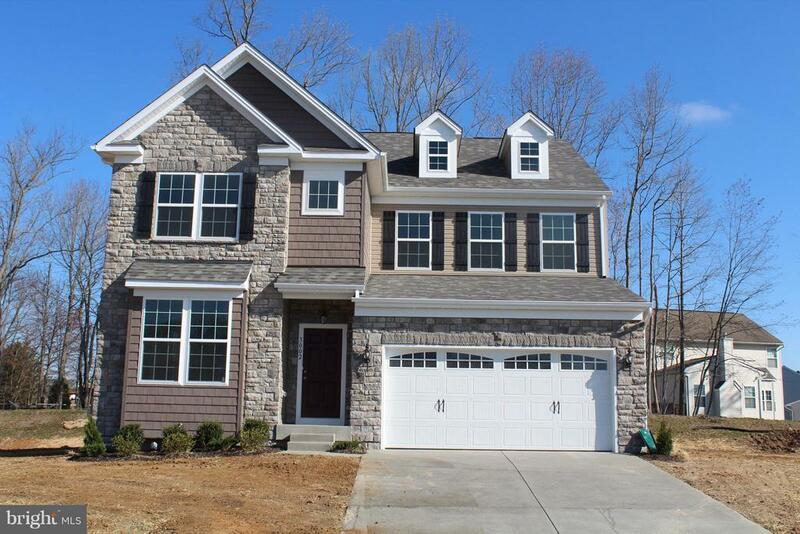 LED lights, crown molding, hardwood floors, double staircase, upgrades galore await you! This home has so much to offer, check it out today!" "QUICK MOVE IN - Brand New home built in 2019. Gorgeous custom home built by Bob Ward Homes. 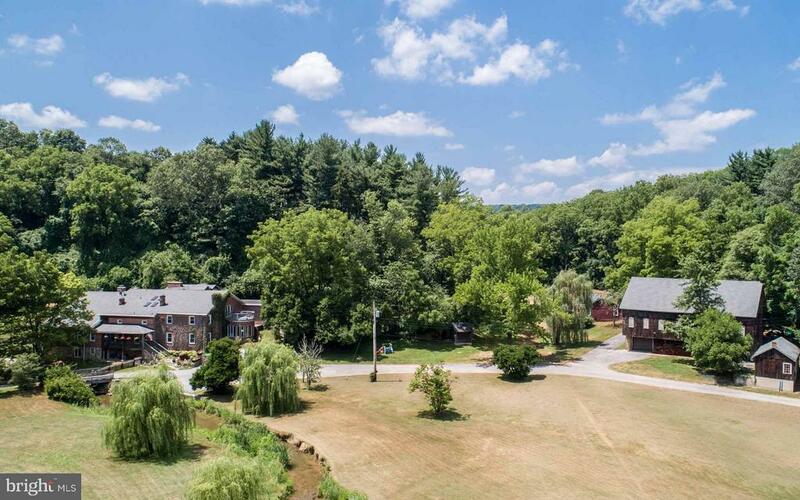 Enjoy scenic views of the rolling hills of Manchester. 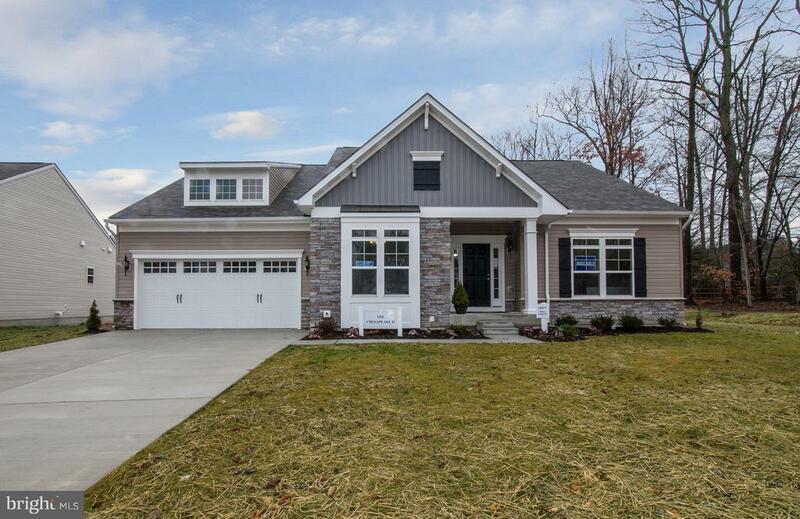 This 4 bedroom, 2.5 bath home is designed for the way you live TODAY. Open, spacious and innovative. Enjoy a 24' x 24' oversized side load garage and full wrap around porch to enjoy the outstanding and endless view. The owner's suite is spacious and complete with a private bath w/ a luxury shower. The living area is open and each room flows effortlessly into the next. The light filled sun room enhances the main level and offers additional living space for entertaining or for some sought after privacy. Finishes include hardwood, granite counter tops and stainless steel appliances. Value priced !!" "Stunning Home with Captivating Views!!! This home offers a traditional open floor plan with gorgeous upgraded features including Brazilian cherry floors, granite counters, 9 ft ceilings, recessed lighting, Anderson Windows, gas fireplace in comfortably sized family room, stainless appliances, first floor laundry, 400 Amp service, finished basement with sliders, generous sized bedrooms and the list goes on. 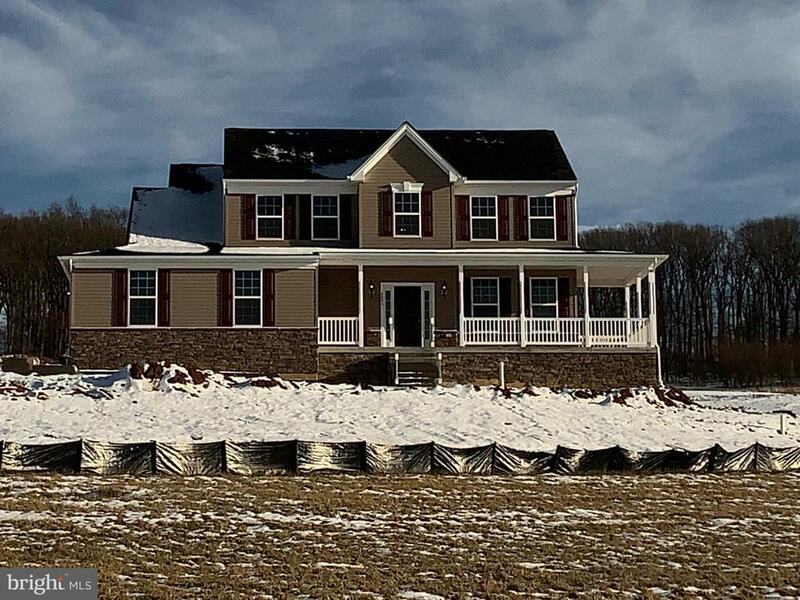 Exterior of home features maintenance free living, front porch with breathtaking views of pastoral Carroll County, private rear yard with stamped concrete patio and 2 car garage! Its a wonderful home and you could easily be the next owner!" "Build an Energy Efficient Bob Ward home on this incredible 2.9 Acre lot in Manchester. Enjoy scenic views and quiet living. The Franklin is one of many floor plans to choose from. 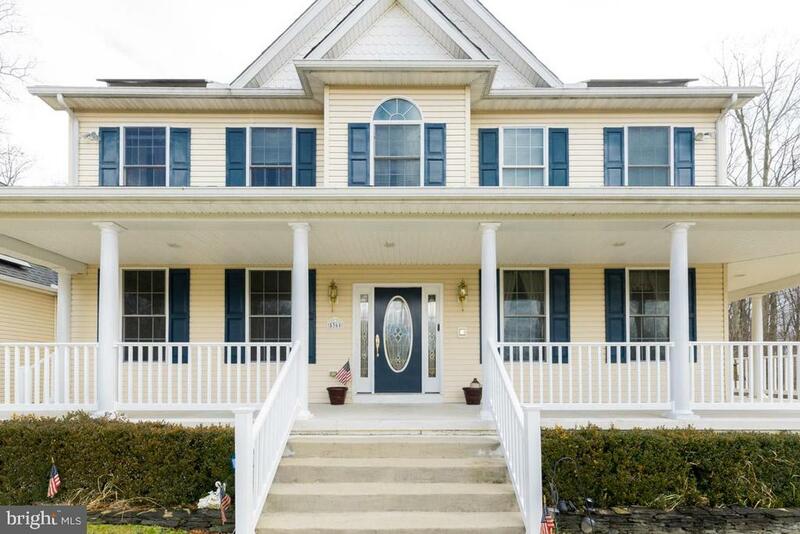 4 bedrooms w/ an option for a 5th, formal living and dining areas, a large well thought out kitchen, loads of closet space, bedroom level laundry, full basement for future expansion and a spacious 2 - car garage. All Bob Ward homes are Energy Star Certified by a 3rd party inspector which means a comfortable and quality built home. Lot may be purchased separately." 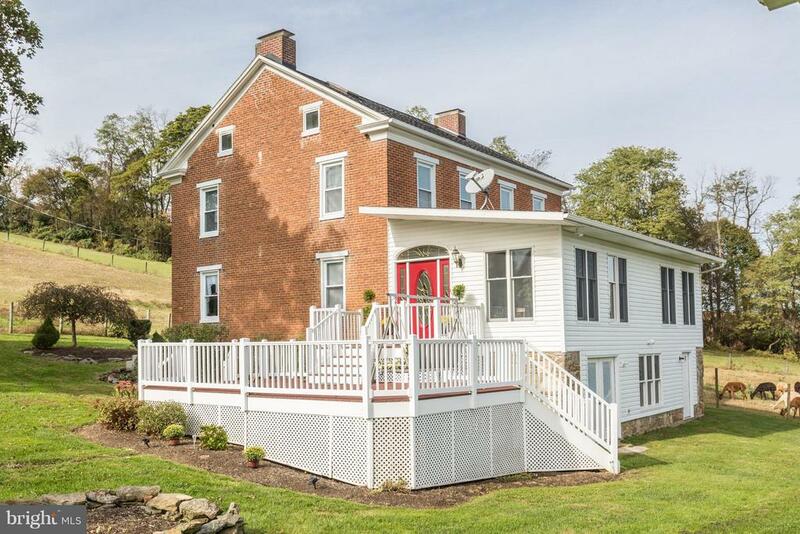 "Colonial Home w/2-Car Attached Garage, 2-Car Detached Garage w/Electric & 12 spaces betweenParking Pad & Driveway on 1.4 AC w/Gorgeous Scenic Views in Timber Branch. Main Level w/FormalLiving Room, Dining Room, Eat-in Kitchen w/Table Space & Breakfast Bar, Family Room off Kitchenw/brick wood FP & Insert. Kitchen w/Slider to stamped Concrete Patio, Granite Counters, CustomCabinets w/custom roll out shelves for easy access, New SS Dishwasher & Electric Self-Cleaning Range.Upper Level w/Master Bedroom w/Walk-in closet, New Carpet, Tray Ceiling & Ceiling Fan, Master Bathw/Vaulted Ceiling, Spa Tub, Shower Stall, Double Vanity & Tile, 3 Additional Bedrooms w/New Carpet &Large Closets & Hall Bath. Lower Level is Dry Lock & Insulated w/Recreation Room, Den/Office, Built-in Wet Bar w/Custom Glass Shelves, Stools & Refrigerator & Walk-up Stairs to Patio & Yard. Laundry Closet on Main w/Washer & Dryer, New Carpet throughout, WIFI Available, Surround Sound on Lower & MainLevels, Storage Shed w/Electric, Energy Star Appliances, Covered Front Porch, Invisible Fencew/equipment & collars, Energy Efficiency HVAC & 80 Gallon Steel Tank Water Heater. Recertified Septic& Well Tested at 10 Gallons per minute in July 18. CAN DO QUICK SETTLEMENT!! SHOWS BEAUTIFULLY & READY TO MOVE IN!! DON'T LET THIS ONE GET AWAY!!" "Build an Energy Efficient Bob Ward home on this incredible 2.9 Acre lot in Manchester. Enjoy scenic views and quiet living. The Chesapeake II is Bob Ward's best selling plan. A rancher featuring 3 bedrooms, 2 full baths, separate dining room, spacious great room, Luxury kitchen, butlers pantry with an optional sitting room in the owner's suite, sunroom off of the kitchen and even a second floor which adds a 4th bedroom and full bath. A full basement and 2 - car garage are add additional storage or future expansion. All Bob Ward homes are Energy Star Certified by a 3rd party inspector which means a comfortable and quality built home. Lot may be purchased separately." "Log Cabin Living! ~-Wonderful Log Cabin Home on 3.66A. Open Concept Design, Wood Floors thru out, LR with Vaulted Ceiling and Pellet Stove with Stone Surround and Hearth. Beautiful Open Kitchen with Jenn Air Gas Range, SS Refrigerator, Dishwasher, lots of Cabinets and Wonderful Center Island. Rear Screened in Porch overlooking In ground Pool & Patio, Stream, Stocked Pond & Barn Outbuilding on 3.66A. Exposed Logs and Beams & Cathedral Ceilings. Skylights. 2 yr old Replacement Windows. Warm Hot water Baseboard heat. Rec room in Basement has Flue for Wood stove/pellet stove, Lower Level Bedroom/Office with Full Bath. Kitchenette in Lower Level - Great for Pool Entertaining! Private but not far off Rt 30 1 Year HMS Warranty Included Note: 1/2 Bath in Lower Level can be put back to Bath w/Shower"
"A peaceful, undisturbed location, yet just minutes from easy commuter routes, Krom's Keep is the ideal home site for discerning Buyer seeking peace and respite in a custom home location. A modern home with classic styling, the Carroll Grace was designed with meticulous attention to ease and comfort. Featured builder JMB Homes offers $10,000 toward Buyer's closing costs." "Welcome to your new home! This 2016 Bob Ward built home located in the sought after Manchester Farms community is a must see. This unique Hampton model is one of the only built that features both a 2 foot extension on each side of the home, and a 4 foot extension across the entire rear of the house. 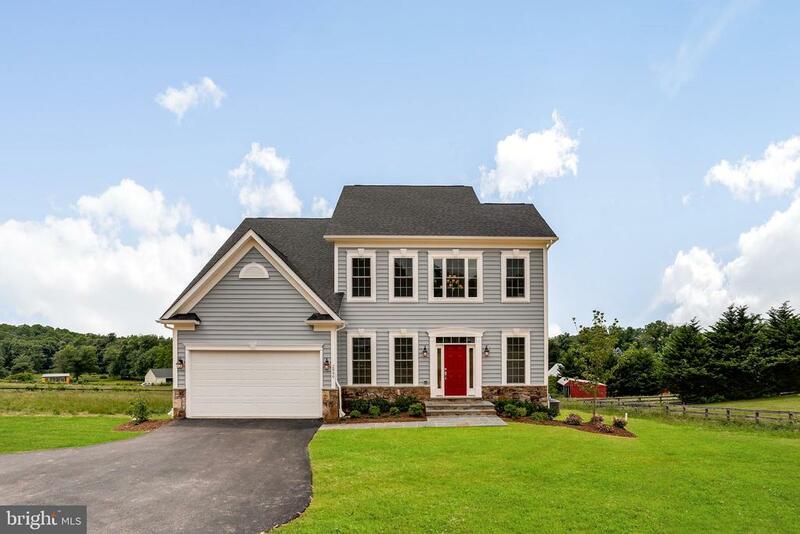 This 2-car garage colonial sits on a fenced 1/3 acre lot off a premium cul-de-sac. The vaulted foyer allows plenty of space and light as you enter the main level off the relaxing front porch. 5 inch wide gleaming hardwoods and 9 foot ceilings greet you, with a much desired open floor plan. This expansive and gourmet kitchen features stainless steel appliances, granite countertops, dual sink, huge center island for gathering, ceramic tile flooring, and opens to the eat in kitchen area and oversized great room. Recessed lighting, ceiling fan, and custom stacked stone gas fireplace for enjoyment. The upper level includes 4 bedrooms, 2 full bathrooms, and a washer/dryer. The large Master bedroom allows for a separate sitting area, en suite bathroom with dual sinks, soaking tub, separate shower, and huge walk in closet. Entertain your guests on the custom built Timbertech Azek deck with vinyl railings. Be sure not to miss this one in Manchester Farms!!" 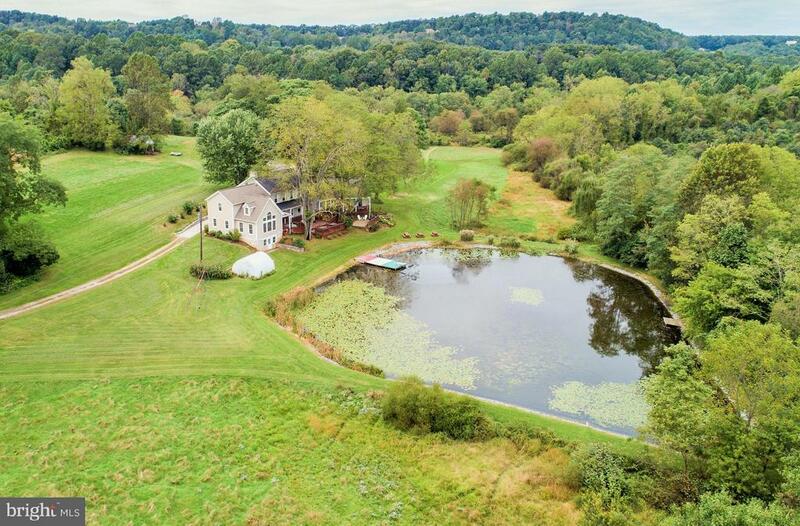 "A wonderful Manchester farm with beautiful colonial home, almost 10 ac, gorgeous pond, some fencing and 6 outbuildings. Enter from the front porch to a large open area. Family room lite by a vintage hanging light and a beautiful brick fireplace set-up for a gas insert.. Opens to living room which opens to dining room which opens to very large kitchen with wood burning stove in brick fireplace. Off the kitchen is the mud room and then the Florida room. Upstairs by the main stairs or through the kitchen and up. On the second level you have 3 bedrooms, a large full bath, a large laundry room, and office/ bonus room. Up one more set of stairs, you are in a floored attic waiting for your ideas and finishes. Peaceful Valley Farm has many possibilities from a working farm to entertainment venue or a gentleman farm residence. Planted fruit trees and berry bushes. Fenced pastures for animals. And a beautiful pond ready for you to go fishing. Take some time and visit and you will immediately begin to relax and appreciate rural Manchester." "A peaceful, undisturbed location, yet just minutes from easy commuter routes, Krom's Keep is the ideal home site for discerning Buyer seeking solitude and respite in a custom home location. The Drury offers a two-story foyer, formal spaces, and a large gourmet kitchen complete with breakfast bar island and walk-in pantry. Featured builder JMB Homes offers $10,000 toward Buyer's closing costs." "17 Acre Horse Farmette~Fenced Pastures & Run Ins ~3 Bedroom 2 Full Baths ~ Lovely Brick Rancher ~Country Kitchen ~ Family Room ~Hardwood Floors ~ Enclosed Porch ~ Finished Lower Level ~ 2 Fireplaces & Wood Furnace for Auxiliary Heat ~ Great Front Porch to watch Evening Sunsets ~ Oversized 2 Car Detached Garage ~ Well Maintained"
"Spacious, open floor plan includes hardwoods*granite, upgraded kitchen*stainless appliances*main level laundry/mud rooms*luxurious owners' suite and spectacular views. Other plans and more specs available. Please call Judy for more information."